After moving from Grand Rapids, MI to Newport, RI in 1971, to operate a gallery quality Leaded Glass business, Don began restoring a series of small wooden sailboats for personal use. This led to repair work for others in the local boatyards, learning his trade from shipwrights. In the mid 1970's, Fall seasons were dedicated to yacht deliveries from Newport to various points on the Eastern seaboard from Virginia to Florida , the Bahamas and Virgin Islands. Spring seasons were spent sailing these yachts back to Newport. The documented time as deck hand on these voyages was used to obtain an Operators License for the Atlantic seaboard to 100 miles offshore. In 1978-79 Don was Captain on the Block Island Pilot boat , delivering Pilots to Oil Tankers, Oil drilling rigs, and U.S. Navy vessels out of Newport ,RI, destined for ports from New York to Boston. After surviving two winters on the North Atlantic, Don accepted a job as Captain on a 60-foot, 1968 Director ketch in Nassau, Bahamas. Outside of monthly cruises for the Florida based owners, one year was spent continuously varnishing and painting gloss coats, as well as repairs to the cold-molded, composite construction. In 1980 Don took on the job of restoring a 68-foot, 1947 Colin Archer ketch that had run aground in the Bahamas, beating a 25-foot hole through her port side. After being righted and brought to Florida , this vessel underwent an extensive two and a half year, $440,000.00 restoration with a crew of seven under Don's direction. In 1983 Don was at the Norfolk School of Boat building, working under shipwrights and directing a crew of 23 students on the restoration of a 117 foot 1913 Stowe & Stowe ketch that had simply gotten old. From 1985-90, Don leased a floor of one of the Herreshoff Marine Museum buildings in Bristol, RI, to start up his Glass business again but ended up gutting and rebuilding 19th century houses and restoring the many Chris Crafts his father had begun collecting, as well as many local sailboats. In 1988 Don came to Grand Haven to direct the complete reconstruction of a 54-foot, 1921 William Hand schooner which required mostly new framework and 100% new 8/4 Honduras planking , returning to his shop in Bristol, RI twice a year to produce carved glass panels for a line of 200-foot dinner cruise ships built at Blount Marine in Warren, RI. In 1990 Don moved his shop to Grand Haven, MI . Two months after purchasing the building Don went to Maui, Hawaii to rebuild a 40-foot trimaran that had slipped anchor on a calm day and gone up on the beach and torn out the bottom. A 12 x 35 foot section of the main hull was replaced using West System ® laminations, in a composite construction hull. A diesel conversion in sport fishing boat followed this. Two months were spent sculpting for a local ceramics artist. From Dec. 1991 to June 1996 Don worked with Macatawa Bay Boatworks as an independent contractor. 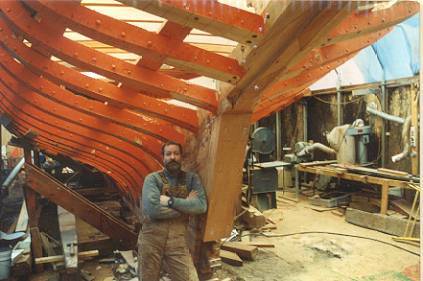 During this 5 year period Don worked on the framing and planking of over forty Mahogany runabouts. Don’s new shop is in Manistee, Michigan, with 3 crew, and wooden boat restorations, mostly runabouts, have risen to over 120 boats. An extensive photo library is kept to show what does, and doesn’t last, in runabout construction and repair. It is this gift of ‘hindsight’, seeing what lasts 20-years or more, that really allows a learning curve in material use, as applies to contemporary construction of antique and classic boats. As a regular contributing writer for over nine years, Don has written 50 articles for Classic Boating Magazine on the subject of Mahogany Runabout restoration and repair procedures, as well as articles for the ACBS Rudder and various ACBS Chapter newsletters. Don is routinely invited as a featured guest speaker for ACBS National and Chapter Seminars and meetings, as well as individual Boat Club seminars and boat shows. 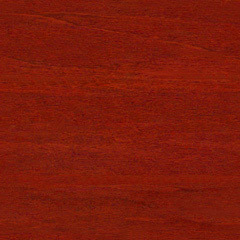 Don has written two books for MBI Publishing, based on the Classic Boating articles, on Mahogany Runabout restoration and repair, published in 2003 and 2005.